The jade plant, or Crassula ovata, remains one of the most popular succulents due to its ease of care and strong growth. People originally believed it could bring good fortune to the owners and thus used it as a housewarming gift for new property owners. These individuals referred to the jade as the dollar or money plant. Crassula ovata also has a number of cultivars, including “E.T.” or “Gollum fingers”. The “Hummel’s Sunset” variety produces beautiful red and yellow tipped leaves while the “Tricolor” features variegated white and cream leaves. 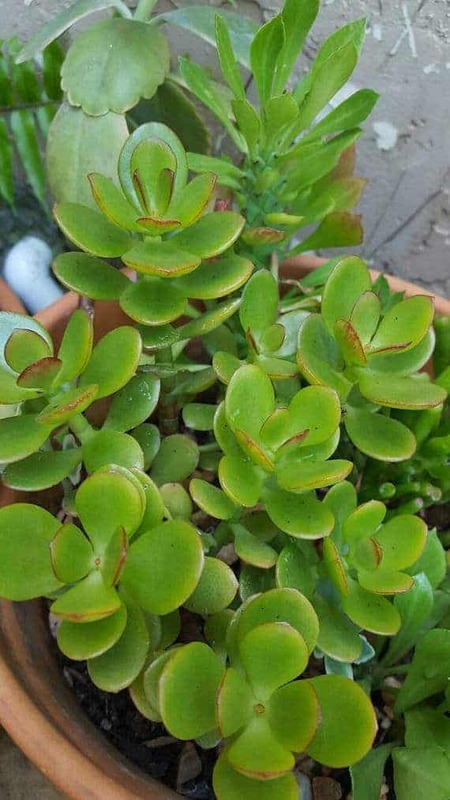 The traditional Crassula ovata possesses distinct rounded leaves. Given enough sunlight, the leaves will get pretty red tips. If you accurately reproduce the plant’s favorite living conditions in the Southern United States, you can also see it flower with beautiful purple and white buds! To do this, you need to regularly expose the plant to cooler temperatures to mimic nights, supply plenty of sunlight, and allow the soil to dry out. 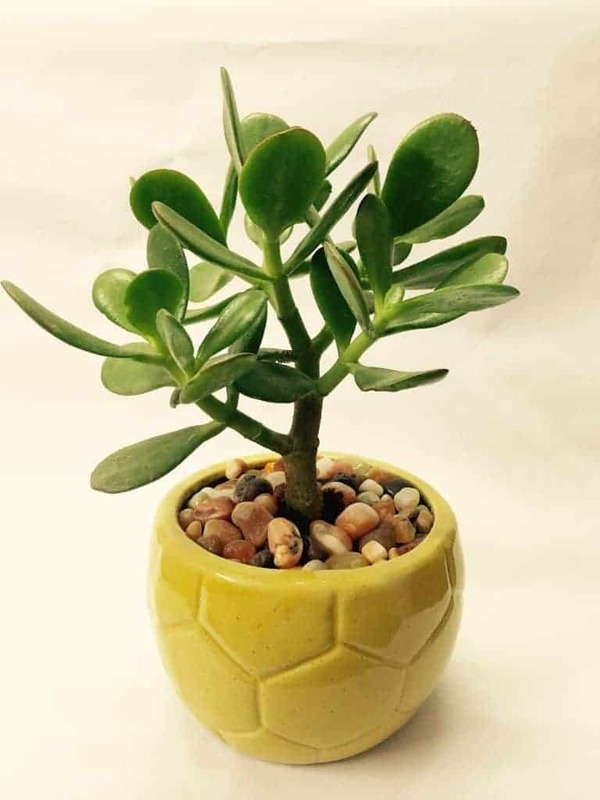 You will be pleased to know that jade plants are some of easiest succulents to keep healthy. 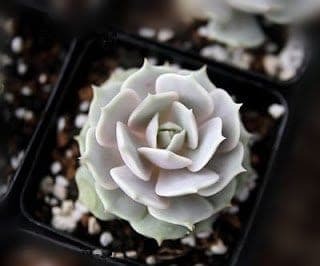 They require very little attention and are long-lived, so owners are guaranteed to have several years of beautiful foliage, if not a couple of decades. Unlike most succulents, the jade plant isn’t a big fan of intense heat. Ideally, the plant should be located in an area that ranges from 65-75 degrees Fahrenheit during the day and roughly 50-55 degrees Fahrenheit at night. Sometimes it can survive at higher temperatures, but only when receiving enough water to counteract the heat. They are particularly susceptible to cold damage in temperatures below 40 degrees or so. Crassula ovata can be fertilized to promote growth once every six months. Never add fertilizer to dry soil, as the combination can damage the plant’s roots and kill it. Click the picture to buy these from the Succulent Source! Like most succulents, the jade plant doesn’t need too much water to survive… however, these guys can tolerate a little more water than most. The basic rule of thumb is to water the succulent when the soil completely dries or once every week. The best way to tell if it needs water is to insert a single finger up to your knuckle in the soil. If the potting mix is dry, then it’s time to water. If it is still moist, then leave the plant alone. Pretty much all succulents like to be totally drenched – so don’t go light on the water! It’s important that they get a lot all at once, and then stay dry for a while. Saucers underneath the pot should be emptied on a regular basis to prevent moisture buildup. It’s best to avoid getting the leaves wet as well, as moisture can only enter through the roots anyway. This succulent enjoys soaking up the sun like a sunbather at the beach! The jade plant will need at least 10 hours to remain happy and content. It’ll survive with less, but watch out for etiolation. Many owners choose to leave the jade outside on the porch during the day to ensure it receives enough light If this isn’t an option, gardeners and succulent aficionados should place the plant to stay near a brightly lit window for the majority of the day. In the northern hemisphere, south-facing windows get the best light. If you lack sufficient natural light, try using some grow lights to ensure healthy growth. Jade plants don’t live in regular potting soil. Instead, they thrive in special mixtures made for succulents, which tend to have larger particles and less organic matter. Succulent soils are formulated to promote rapid drainage so excess water trickles out and doesn’t drown the plant. Your soil determines how well it drains, so make some good soil or buy a reliable brand. Check out these jades on Etsy! Jades are pretty flexible. You have two options for propagation. The first is leaf propagation. It’s really simple. Pluck a mature, healthy leaf. Leave it on some soil. Come back in a few weeks and you should see some little roots! A few weeks after that, you’ll see tiny leaves forming. Eventually, you’ll have a whole other jade plant! That method takes a long time, though. If you want something a bit quicker – take a cutting. You want to choose a healthy branch roughly 3-4 in. long. Try to avoid picking a branch with low-lying leaves, as they would need to be removed during the new planting process. Once you pick a branch, be sure to cut it evenly using sharp scissors. Allow the base of the cutting to dry out and form a callus. 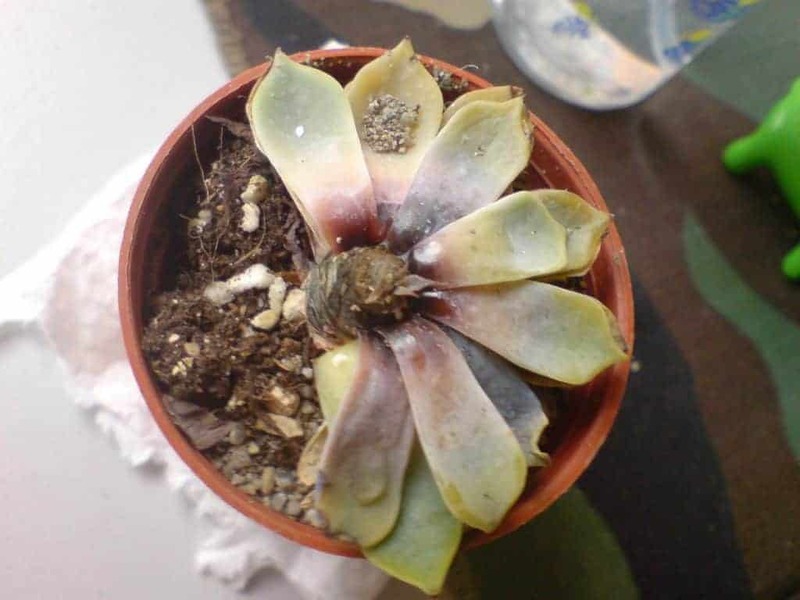 Planting a new succulent with a wet base invites bacteria and disease. This usually takes 3 days to a week. Next, fill a new pot with a succulent potting mix or a cactus variety with some organic matter. Form a small hole with your finger or a pencil and insert the cutting just enough that it can stand. You can pack the soil a little around the new jade plant, but you don’t want to make it too tight. Finally, just place the new succulent in a sunny area and care for it like your old plant. If you feel guilty, keep it out of sight of the old succulent to avoid sibling rivalry. Jade plants are ubiquitous in the United States. They can be purchased from a variety of retail outlets, landscaping centers, and flower shops, including brand-name box stores. You can even find healthy Crassula ovata online from retailers such as Amazon. Honestly, though, you probably have a friend with one who is willing to give you a cutting. Or steal a leaf from that one in your office? You probably don’t need to pay for a jade plant; they’re everywhere. If you don’t wanna do any work, you can order it from an online nursery. We have a list of the best ones here. Do you have any tips for caring for jades? Tell us in the comments below!